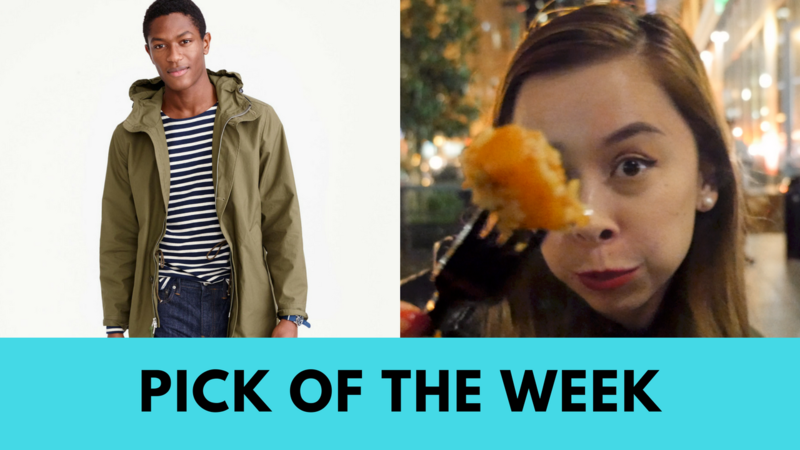 I’m quite excited for my pick of the week because I’ve been constantly checking for the last few weeks to see if they’re available. Annnnnnnnd they are!! I’m sure you’ve already read my Essential Polo Shirt article so you know what to look for in a polo – so I present to you, my favorite polo shirt. They have a great slim and stretchy fit. The cotton fabric feels like a really soft t-shirt. The collar has just the right amount of structure. The price is very affordable. They’re currently on sale for $10. Do yourself a favor and pick these up right now because they go in and out of stock constantly, and sometimes for weeks on end. The second I see them come up, I immediately order them because I’ve been burned in the past by waiting. During this time of year, Dorian lives in these polos. He wears them all the time, but especially during the Spring and Summer months. 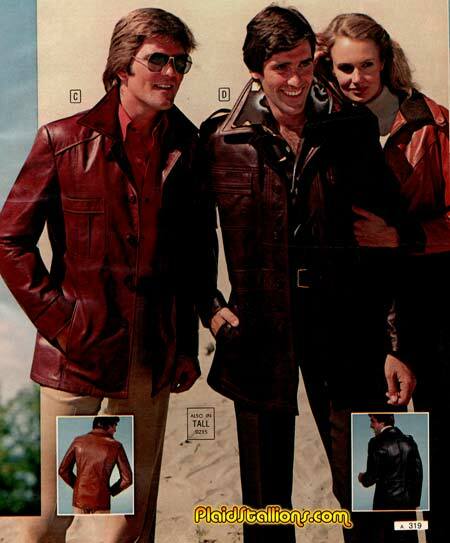 I do want to point out, though, that the darker colored polos are not the most durable. I baby these by washing them in cold water with detergent, specifically for dark colors, and I let them air dry, but even still, the color for the darker polos will fade so you’ll need to replace them yearly if not sooner. With all that said, these are still some of the best fitting and best looking polos ever. I love polo shirts because they can easily be dressed up or down. If you’re running errands or want a super casual, yet put together look, then pair your polo with some dark wash jeans and white low top sneakers. 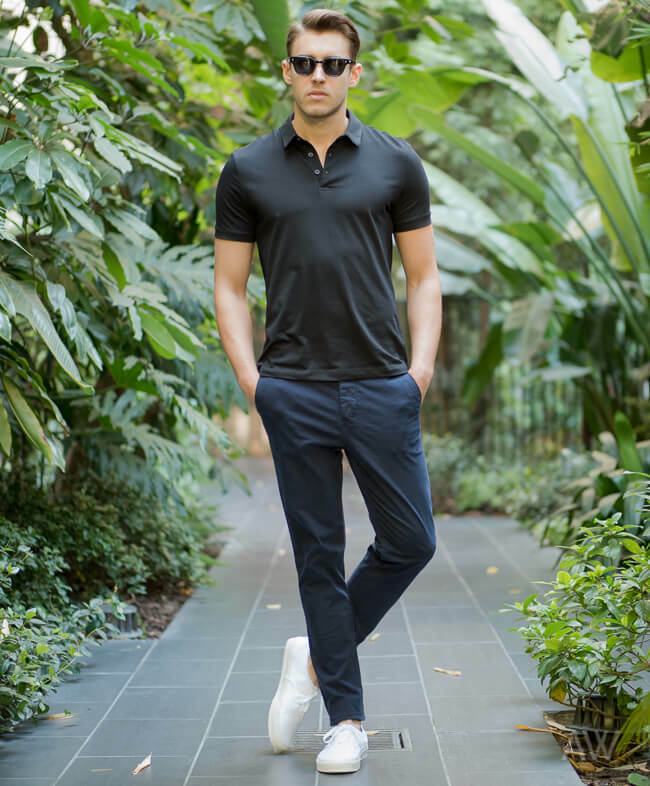 Check out my Polo Shirt article for lots of other ways to wear a polo shirt, as well. 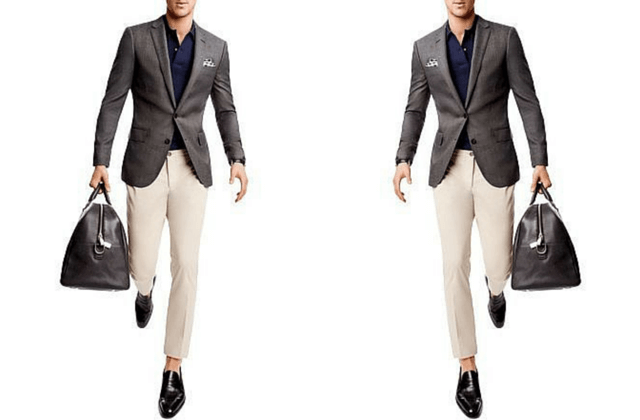 You can also throw on a black bomber jacket or navy Harrington jacket as well as some chukka boots or even casual dress shoes for a slightly more dressed up look that’s perfect for going to a party or heading to dinner/drinks. Because of all the rain that’s been happening here in LA and the East Coast, I’ve been trying to find stylish yet practical jackets for some of my clients who are doing press right now along the soggy coasts. I found this awesome snokel jacket that fit the bill perfectly. I was so excited to find a lightweight snorkel jacket that fit the bill perfectly. A snorkel jacket is basically a parka. It’s a 3/4 length jacket hitting mid-thigh and has a drawstring hood that can tighten so your entire face is covered except a small breathing hole, hence the name snorkel. 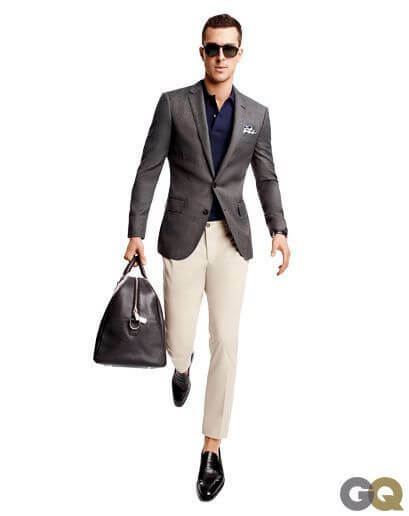 A lightweight jacket, like the one in the image, will also take you through Spring and is easy to layer under. In the image, the jacket is layered over a striped long sleeve shirt, but you can also wear a grey, navy, or burgundy sweatshirt or crewneck sweater. Not only does this outfit look great with some dark wash jeans, you can also wear a pair of chinos or wool trousers with it. As for shoes, I’d go with a pair of boots or sneakers.